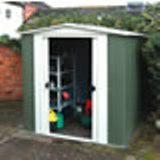 This Rowlinson metal shed features an apex roof and useful sliding doors. 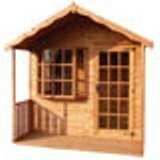 The Buckingham summerhouse 2.44 x 3.66m a large garden building with multiple uses and lots of options available. 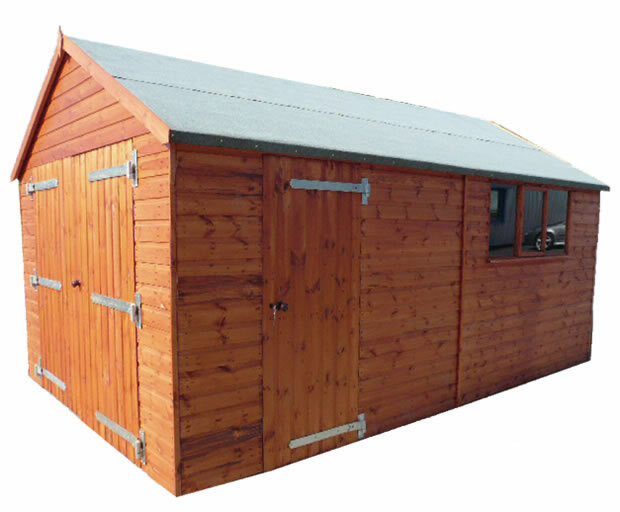 Traditional Bentley shed available with many options. 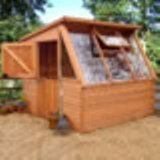 1.82x1.52m an ideal storage area for the garden. Metal Montford Fence 1.81m x 0.94m (5'9 x 3'1) with vertical bars and spear top finials.